This week the PLA’s news website released photos of a live fire exercise by an airborne brigade’s artillery units. The show of force didn’t have any ulterior motive and seemed focused on keeping the brigade’s equipment in working order. It also revealed the different heavy weapons used by one of the least understood ground forces in the Chinese military. Unlike their Russian counterparts, the Chinese airborne aren’t a separate branch. Nor are they recognized as divisions within the army’s force structure in the same way as the US Army airborne. As with the the PLAN marines, whose numbers are being raised, a collection of airborne brigades specializing in mobile assault are attached to the air force. In this case, the PLAAF. Among the highlights of the recent live fire exercise were a battery of PCP001 or PCP-001 self-propelled mortars. The PCP001 is an 82mm mortar on a pivoting mount carried by an open top Dongfeng Humvee. These mobile artillery pieces aren’t used by the regular PLA nor have they been assigned to the fledgling PLAN marines. PCP001’s are deployed to give artillery cover for airborne infantry tasked with seizing an objective. It’s also possible to use the PCP001 as an assault gun at close ranges. It’s unclear when the PCP001 entered service with the PLAAF airborne but the choice for the Dongfeng EQ-series Humvee clone as its carrier is a practical one. The utility truck is a copy of AM General’s civilian Hummer that was exported to China in the early 1990s. The rest of the PLA have adopted the Dongfeng EQ for a multitude of roles but it’s still a poorly armored 4×4 with insufficient blast protection. The PCP001 is armed with the Chinese copy of the 2B9 Vasilek, a Soviet vintage 82mm automatic mortar that’s fed by a clip holding four rounds. Each clip is loaded by hand to a breech and targets are selected by the gunner using an integral optical sight. The 2B9 can send projectiles as far as four kilometers away. Judging by photos of the PCP001, it only requires three soldiers to operate it. 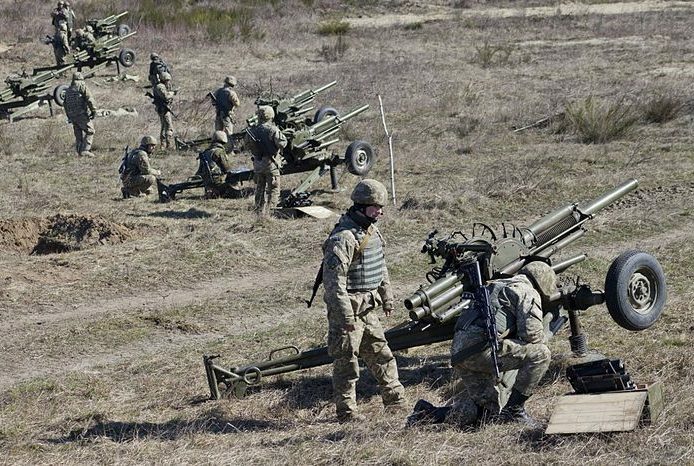 Ukrainian soldiers training with the 2B9 Vasilek. Via Wikimedia Commons. The PLA have a variety of self-propelled mortars at their disposal on both wheeled and tracked carrier vehicles. 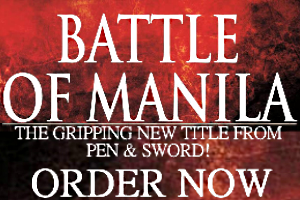 The state-owned conglomerates responsible for making these offer them in their export catalogs. 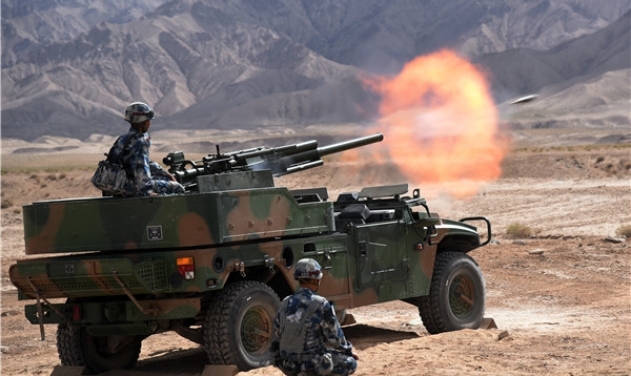 Norinco in particular made a 120mm automatic mortar on a Dongfeng Mengshi 4×4 available to its clientele. But the airborne’s PCP001 isn’t as novel as it appears. A competitor from Europe is the Expal Eimos “integrated mortar system” combines an 81mm mortar with a control panel operated by a gunner. The Eimos can be mounted on different carriers and is usually found on the Urovesa Vamtac. 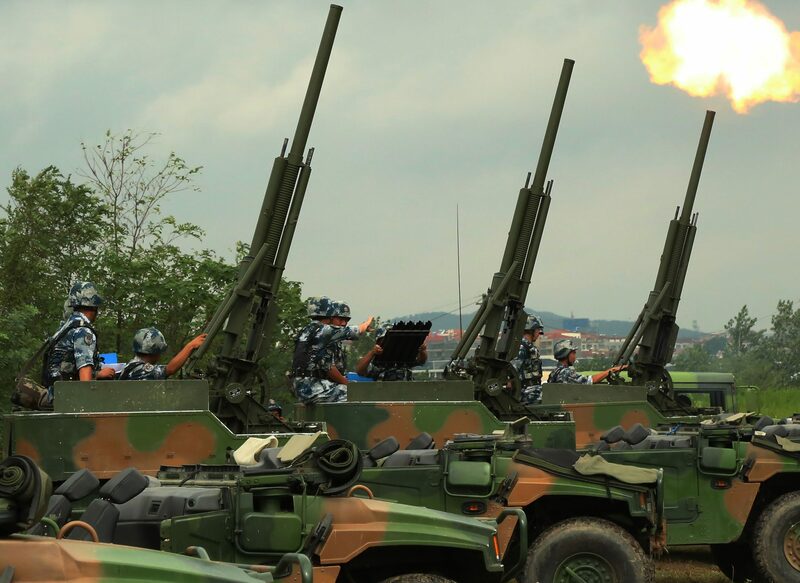 Other portable artillery weapons used by the PLAAF airborne are the Type 63 multiple rocket launcher that’s fired in volleys to soften enemy fortifications. Each airborne brigade have 122mm howitzers as well–Chinese copies of the ubiquitous Soviet D30. But the most potent weapon in their arsenal is the ZBD-03 infantry fighting vehicle that’s meant to be dropped from an Il-76 or Y-20 transport. The ZBD-03 is copied from the Yugoslav M-80A whose appearance also resembles the French AMX-10P.